Apple pectin is a type of soluble fiber naturally present in apples. Available in dietary supplement form, it's used for a number of health conditions. For example, some individuals use apple pectin to improve their digestive health and ease common digestive complaints. Pectin is found in many other fruits, including citrus fruits and in supplements such as modified citrus pectin. Apple pectin is also said to protect against some forms of cancer (such as colon cancer). In addition, apple pectin is sometimes used to regulate bowel movements. Apple pectin may help lower cholesterol, according to a preliminary study published in the European Journal of Clinical Nutrition in 2012. Researchers examined the effects of different types of apple or citrus pectin in people with mildly elevated cholesterol and observed that both types of pectin lowered LDL cholesterol. A previous review found that soluble fiber (from pectin, oat, or psyllium) was associated with a small decrease in total cholesterol and LDL cholesterol. A combination of apple pectin and chamomile extract may help relieve diarrhea in children, according to a study published in the German journal Drug Research in 2006. 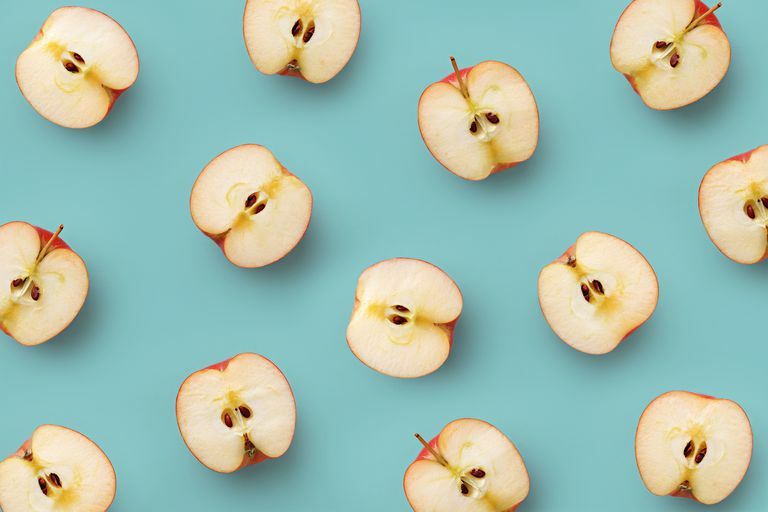 For the study, 255 patients (ranging from six-months-old to six-years-old) were given either a placebo or a combination of apple pectin and chamomile in the treatment of acute diarrhea. Results revealed that children treated with apple pectin and chamomile experienced a significantly greater improvement in symptoms (compared to those given the placebo). Apple pectin may trigger a number of side effects, such as diarrhea and gas. It's also important to note that self-treating a health condition with apple pectin and avoiding or delaying standard care may have consequences. Many drugstores and natural-foods stores sell dietary supplements containing apple pectin. You can also purchase apple pectin products online. Many other natural substances are rich in soluble fiber (the type of fiber found in apple pectin). To increase your soluble fiber intake, make sure to get your fill of grains (such as oats and barley), legumes (including peas, beans, and lentils), and fiber-rich fruits like blueberries and pears. Soluble fiber is a type of dietary fiber that dissolves in water and forms a gel-like substance in your intestines. By loading up on soluble fiber, you can keep your cholesterol in check and cut your odds of developing heart disease as you age. Becker B, Kuhn U, Hardewig-Budny B. Double-blind, randomized evaluation of clinical efficacy and tolerability of an apple pectin-chamomile extract in children with unspecific diarrhea. Arzneimittelforschung. 2006;56(6):387-93. Brouns F, Theuwissen E, Adam A, et al. Cholesterol-lowering properties of different pectin types in mildly hypercholesterolemic​ men and women. Eur J Clin Nutr. 2012 May;66(5):591-9. Sánchez D, Muguerza B, Moulay L, Hernández R, Miguel M, Aleixandre A. Highly methoxylated pectin improves insulin resistance and other cardiometabolic risk factors in Zucker fatty rats. J Agric Food Chem. 2008 May 28;56(10):3574-81.